Okay, just getting in here under the wire for the Simon Says Stamp Nautical Challenge with a card for something that got 'messed up' and crazy as it seems, I didn't have the right sentiment for it, so this came to mind. I thought it was funny anyway...ugh. 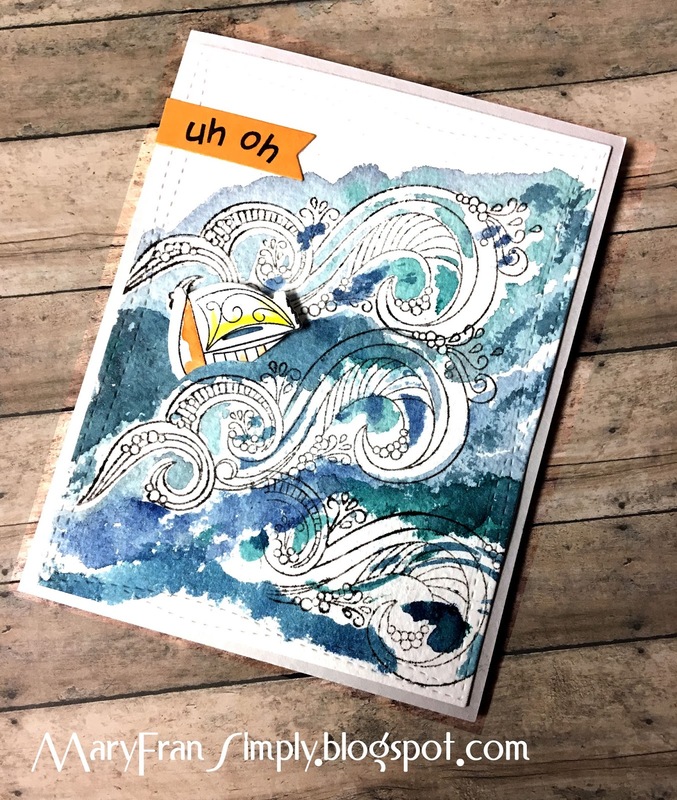 I used the die cut for the wave as a stencil and then watercolored the water in. I stamped the wave over the white and then die cut the little sailboat 'sinking' through a little slit I made in the panel. I used some alphabet stamps on some orange to match the hull of the boat and then just cut a little fishtail out of it. Lastly, I die cut the watercolor panel and adhered it to some gray cardstock. Thanks for reading, and the materials used are listed below.